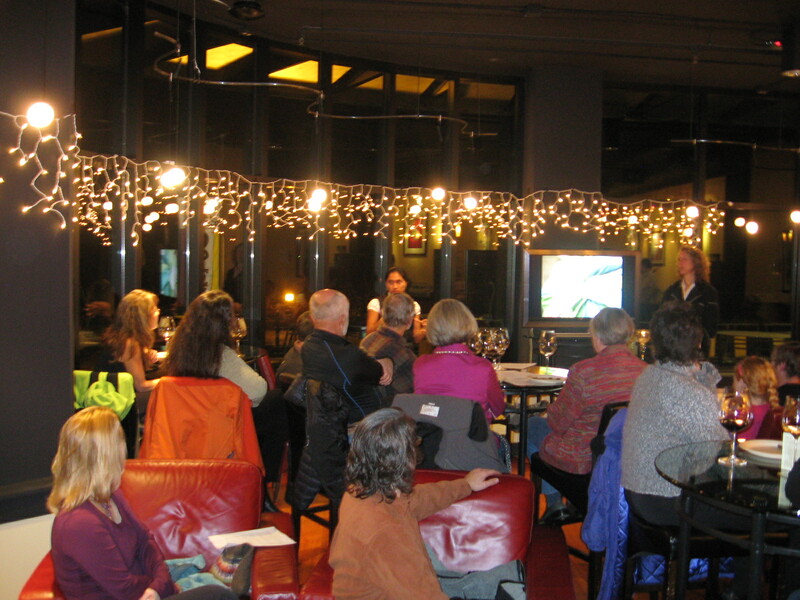 On October 11, 2010, Slow Food Corvallis co-sponsored a chocolate tasting and talk about sustainable farming in Ecuador with an Amazonian Kallari delegate and chocolatier at Enoteca Wine Bar. A delegate of the Kallari Cooperative (http://www.kallarichocolate.com) visited Corvallis to share with the public the realities of Amazonian farming and describe life in the cooperative. 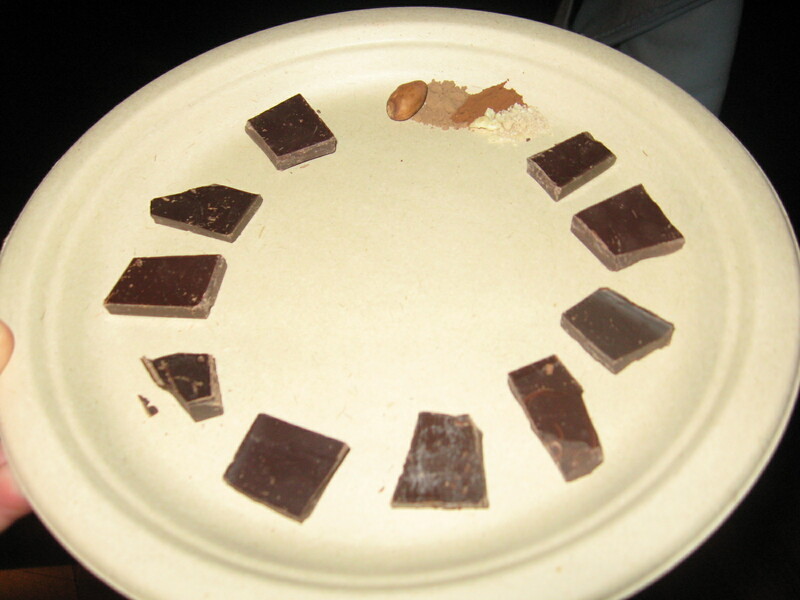 It provided a unique opportunity to hear from an integral partner in the chocolate world – someone that the average consumer in the US rarely considers when enjoying a bar of chocolate. The Kallari Cooperative is a truly unique, sustainable business of over 850 indigenous Ecuadorian families. Together the group grows organic cocoa in the Amazon rainforest and processes all harvest on-site into dark chocolate. Because the cooperative grows, processes, and sells all of their own cocoa, these farmers are able to keep all profits on the farm. This allows these farmers to practice truly sustainable agriculture, allowing fields to lie fallow, organically enriching the soils, and discontinuing the deforestation of the Amazon rainforest on their land. Due to the enhanced income generation created by marketing their own products, the Kallari farmers can afford to allow portions of their land to remain in mature, productive and thriving rainforest and not as cocoa farm. To supplement their cocoa harvest, these Kichwa farmers create indigenous crafts and teach their youth this heritage. They sell a portion of these crafts as well as the chocolate to supplement their business. Kallari has a special significance in Corvallis as they offer internships to OSU students. Through IE3, multiple students have traveled to Ecuador to experience first hand this unique business and agricultural model. For more details, and beautiful pictures, please visit http://www.kallarichocolate.com. Participants enjoyed a guided tasting of Kallari chocolate and were able to view a power point presentation providing background on the cooperative. 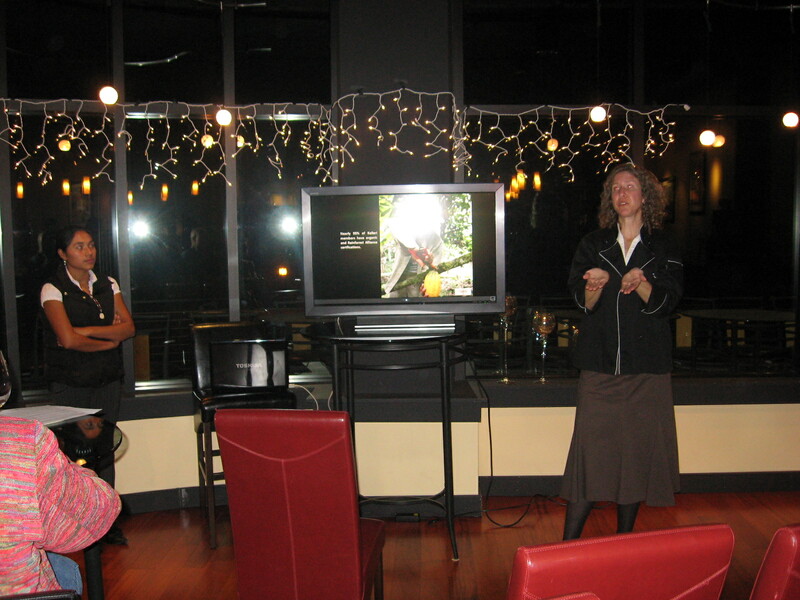 The event was held at Enoteca Wine Bar, (http://enotecawinebar.com) in the Renaissance building downtown; participation was free of charge. 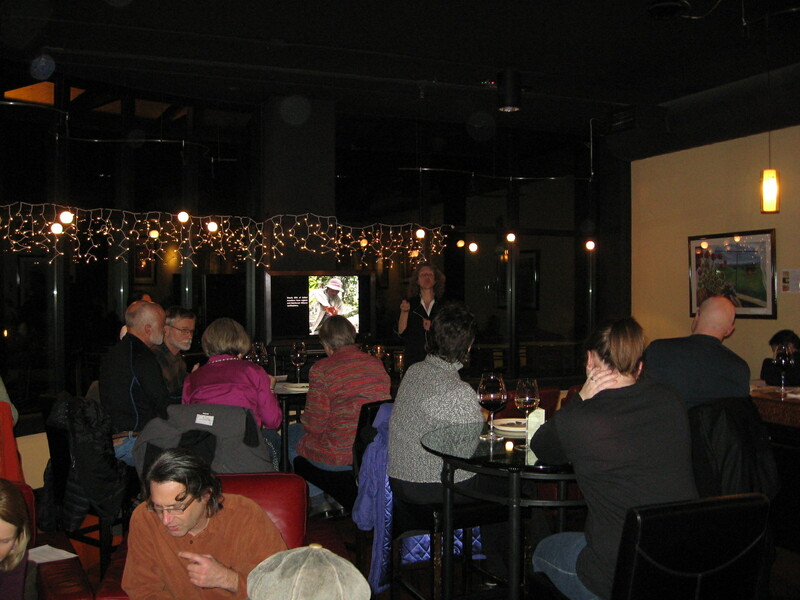 Enoteca provides opportunities to non-profit organizations to present their food and beverage related information on Mondays, and provides a portion of the proceeds from the day to the non-profit.